With enterprise-level security and semi and fully rugged options, the new Toughpads are ideal for today’s diverse mobile workforce. Panasonic’s Toughbook line has been designed to withstand all kinds of environments and drops, spills, dust, and more for mobile professionals. 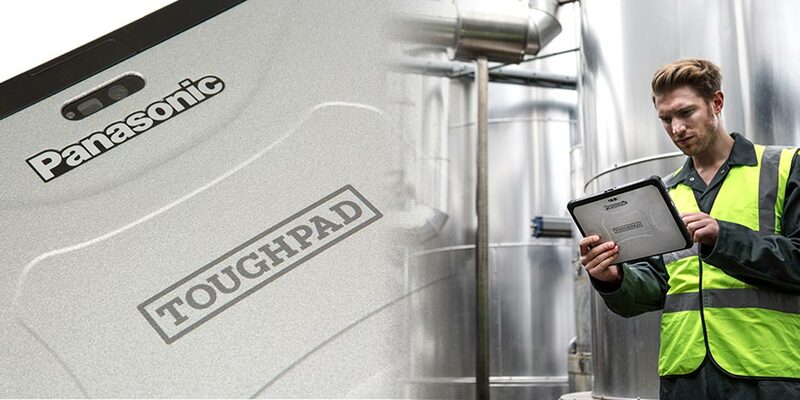 The company has announced two new additions to the Toughbook family: the FZ-Q2 Semi-Rugged 2-in-1 Windows Toughpad Tablet and the FZ-A2 Fully Rugged 10.1” Android Toughpad Tablet. 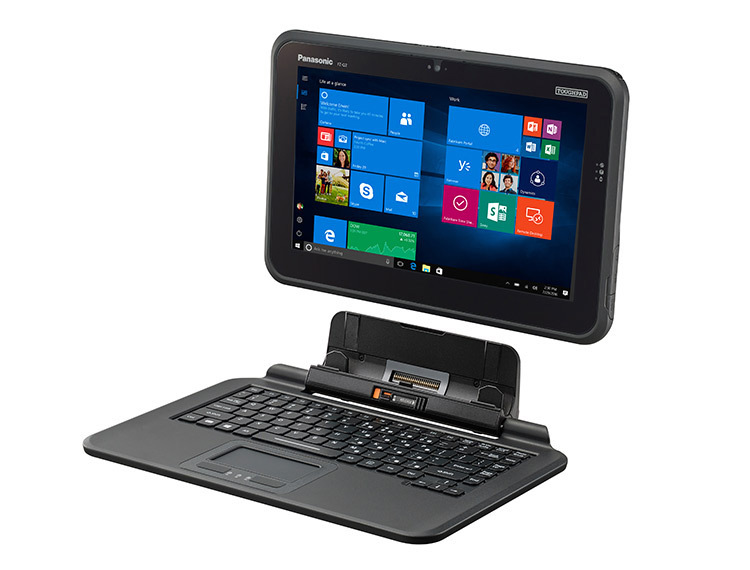 The FZ-Q2 Semi-Rugged 2-in-1 Windows Toughpad Tablet comes with a standard full-sized, backlit, spill-resistant keyboard and built-in enterprise-grade protection. 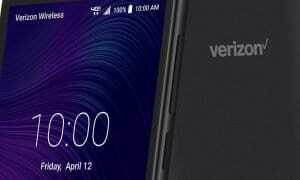 Features like Intel Core m5 vPro processors, dual band 4G LTE connectivity, and solid-state drive and battery which are field-serviceable not only increase performance but also the longevity of the device. This Windows tablet is ideal for field service and transportation applications, and can also be safely sanitized with a disinfectant solution for home health and food service or inspection applications. Enhanced CPU: Intel® Core™ m5-6Y57 with vPro™ Processor offers powerful performance. 4G LTE MultiCarrier Mobile Broadband with Satellite GPS: Ensures reliable connectivity for enterprise users, regardless of their location, indoors and out. Insertable or Contactless Smart Card Readers: Offers the enhanced security features enterprises require. Anti-reflective Screen Treatment: Treated screen allows better visibility in bright conditions. Attachable Spill-resistant, Backlit Keyboard: Equipped with signature strap/carrying handle for safety and portability. HDMI-IN3 option: Provides a full HD view from any HDMI source, designed for video quality assurance testing and monitoring. Accessories: Full desktop cradle provides flexibility for mobile deployments. The rotating hand strap for the tablet maximizes user productivity. The Panasonic FZ-Q2 2-in-1 tablet will be available on January 12, at a list price of $2,299.00USD. Tested to meet MIL-STD-810G certification, the FZ-A2 Fully Rugged 10.1” Android Toughpad Tablet has an IP65 rating and offers drop protection. The screen can be used with or without gloves in various weather conditions, including the rain. With a hot-swappable battery, three integrated configurations with optional features like a barcode reader, Smart Card reader, or additional USB port, its thin form factor makes it ideal for many different applications and usage scenarios. Also equipped with enterprise-class features, the FZ-A2 Android Toughpad tablet utilizes Android for Work’s enterprise security and meets HIPAA requirements for enhanced privacy and data protection. 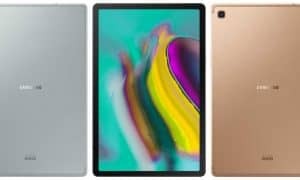 The Wi-Fi only base model version of the Panasonic FZ-A2 tablet will be available on January 12 at a list price of $2,189USD. 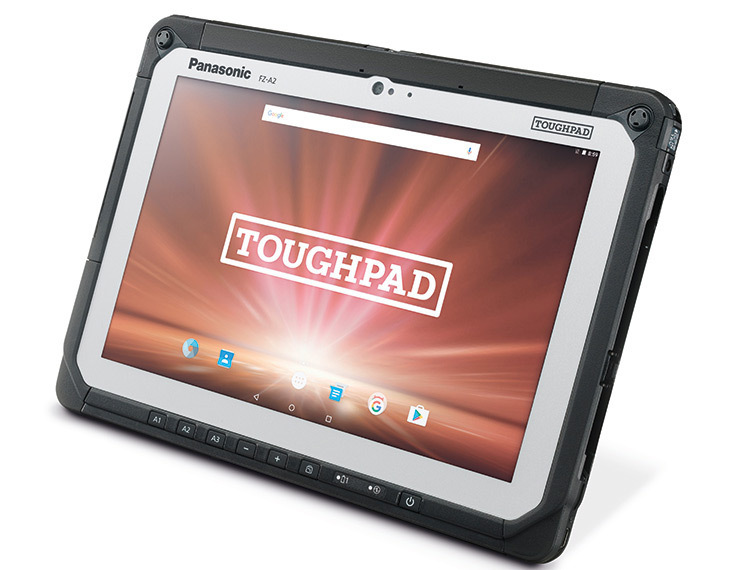 What do you think of Panasonic’s new Toughpad tablets? Let us know in the comments below or on Google+, Twitter, or Facebook.